Every year I take stock of the shows that never surfaced, despite the earlier teases from networks. This year the results are a little bit different. Firstly we had more shows than ever held over until the following year. Secondly, public broadcasters had longer lists than the commercial networks. Nine, which is usually the worst transgressor in this regard, had an amazing improvement as a result of learning to ‘over-promise’ at its 2013 Upfronts. Two titles will still make the calendar year by premiering on December 29 and 30. That ad for The Taste being all about Nigella is so woeful. I only saw a couple of episodes of Silk and was impressed by the acting. Unfortunately, this is just another program about lawyers and they all start to get a little predictable after a while. Perhaps I’ve just been around to long. I am sure I predicted that AGT will go bye bye for 9. Season 3 of Mad Dogs (Max Beesley, John Simm, Marc Warren & Phillip Glenister) was shown in July/August on FX. It had been scheduled earlier. As it was only shown in the UK in June, that’s not too bad! Apparently the story has been wrapped up with a 4th season of 2 new episodes to be shown in the UK on the 29th and 30th of this month. On death row was played this year on SBS. I predict AGT will quietly disappear the same way Hey Hey It’s Saturday was never mentiond again. is Secrets & Lies supposed to be the “new Cluedo”? It should be Channel 9 cancelling Australia’s Got Talent rather than Channel 7. No it shouldn’t. Seven announced it at their 2013 Upfronts then cancelled it. Nine picked it up and broadcast it and are yet to outline its future. It is hard to launch a drama in this climate. As Wonderland demonstrates you can no longer just put something that is just OK on in the middle of nowhere and have people watch it. The networks have been caught out by this and are holding dramas back until they are sure they are right and the stars are aligned for a successful launch, while at the same time overpromising to media buyers because they are struggling for revenue. That isn’t sustainable and they will adapt and target things better in the future. But I don’t agree with the ABC holding all those shows back. In the article on here where they were saying “less is more” I was thinking if you didnt with hold everything it would be ok. Yes @Loz please ABC show Janet King early in the ratings year! 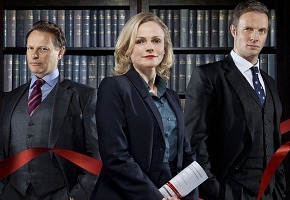 I have been looking forward to Janet King in what seems like forever since first heard it was going to be made in 2011 when Crownies ended (they should bring that back by the way). Also looking forward to Puberty Blues. Reign, is going to be on 11 I’ve heard early next year!!! Sad about, return to eden. Would’ve done good. Oh I didn’t realize that the INXS miniseries was meant to air this year. When was it filmed?